December Employment: How to Feel About It…? Rhode Island’s unemployment rate dropped to 10.2%, after spending a couple of months at 10.4%, but at the same time, the Ocean State remains one of only two states above 10%. Moreover, the other one, Nevada, has made up more than a 1-percentage-point gap to reach a tie for last place. The context of our neighboring states, however, really shows Rhode Island’s almost visible rut, even if Connecticut’s tax increases and wrap-up of stimulus spending are driving that state rapidly in our direction. 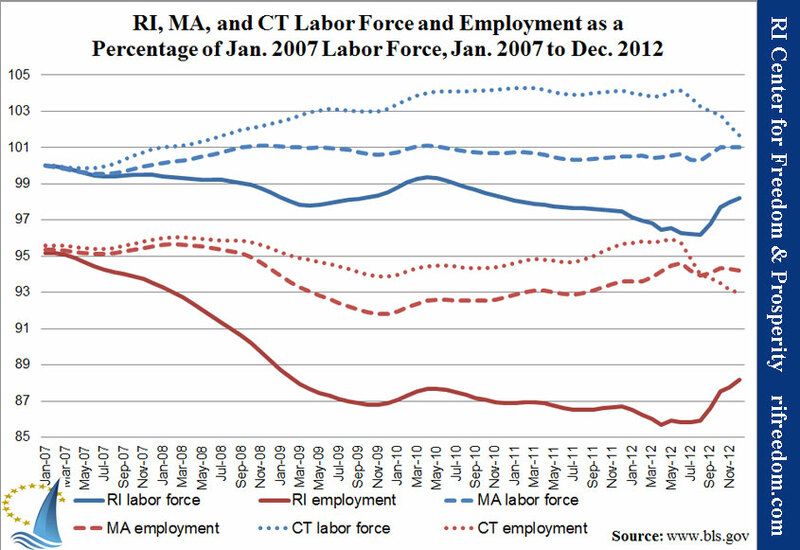 Looking at the fifty states shows not a whole lot of motion toward recovering pre-recession peaks in employment, which means Rhode Island remains second farthest from its own peak. The last, Michigan, continues to slide, though, making Rhode Island look like less of an outlier. 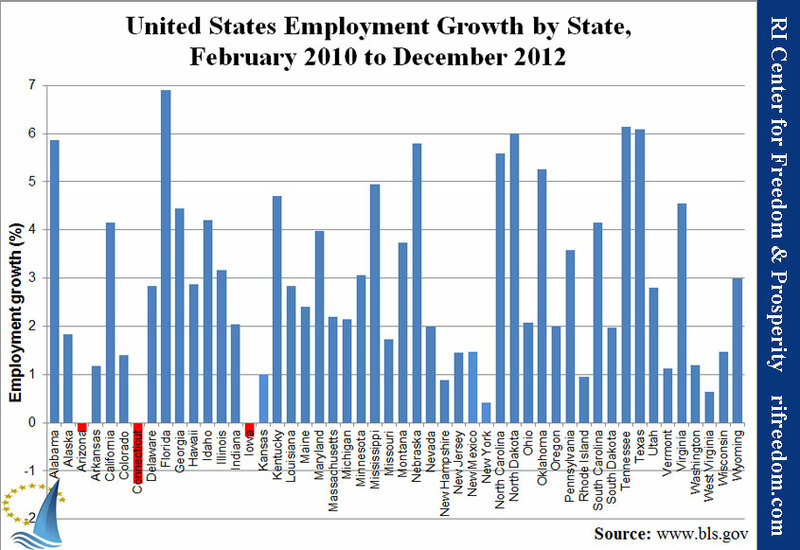 Growth in employment from February 2010 is pretty much the same story of stagnation. That’s the month that the nation’s employment cascade finally ended. Unfortunately, the Bureau of Labor Statistics, from which all of this data comes, has announced its intention to change methodology on how it comes to its final numbers, so the results that will be published starting for this month’s employment situation will not be directly comparable to the decades of archives. Stay tuned, though, to see which way they move as the math changes. Any wagers?